The Orange County Plain Dealer was launched in January 1898 – briefly in Fullerton, before moving to Anaheim, depending on which accounts one reads. Although it covered North Orange County generally, the newspaper’s focus was Anaheim-centric to the point that it was often incorrectly called the Anaheim Plain Dealer. The paper was originally owned and edited by James E. Valjean, the former editor of the Portsmouth (Ohio) Blade, a Republican, and the inventor of an improved stomach pump. He bought a small local paper called the Independent and built the Plain Dealer on its bones. The name of the new paper may well have been inspired by the Cleveland Plain Dealer in his previous home of Ohio. Once the new Orange County Plain Dealer became established, Valjean’s wife, Sarah Jane, moved from Ohio to Anaheim to be with him. In 1913, he made Earl R. Abbey (future Orange County Coroner) manager of the paper. Shortly after a destructive fire at the newspaper plant and just prior to Valjean’s death in 1914, Abbey became the Plain Dealer’s publisher. 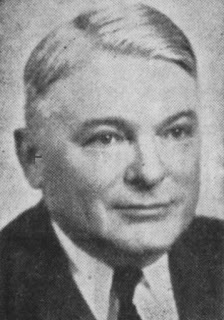 Fred A. Chamberlain, also an employee of the paper, became editor. They purchased the paper and remained until 1916, when Paul Vincent Hester (editor) and Rolla Ward Ernest (manager) became the paper’s new co-owners and operators. Ernest, going through an ugly divorce and looking for ways to lower his alimony, tried to sell his interest in the paper to Hester in 1923. But Judge Cox put the kibosh on the sale. On May 8, 1925, publishers Ernest and Hester sold the entirety of the Plain Dealer (by now an afternoon daily paper) to John S. Baker and his son-in-law, Anaheim Bulletin publisher Lotus Harry Loudon, for $35,000. The afternoon daily was purchased with financial help from Loudon’s friends, developers Alfonso Bell (tennis star, oil tycoon and namesake of the communities of Bel Air, Bell, and Bell Gardens) and Phillip A. Stanton (politician who founded Seal Beach, Huntington Beach and Stanton). Louden and Baker immediately merged the Plain Dealer with the Bulletin. Today, scattered issues of the Plain Dealer, beginning April 1898, can be found at the library at University of California Irvine's Special Collections. More complete runs of the Plain Dealer, from Sept. 1902 to March 1903 and from Jan. 1919 to May 1925, can be found on microfilm at the Anaheim Heritage Room. Of this latter collection, all but the issues from April 30, 1919 through December 1920 are now available at YoreAnaheim.com.